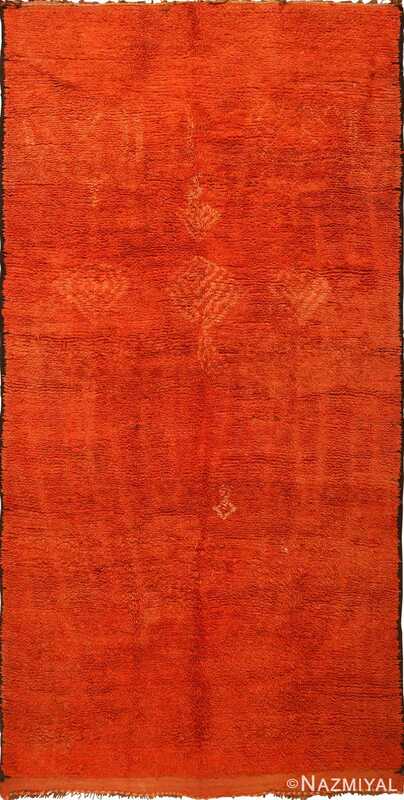 This bohemian, vintage Boujad rug showcases a nonconformist allover pattern set over a sumptuous chestnut brown field. Tribal Vintage Moroccan Boujad Rug , Origin: Morocco, Circa: Mid Century Modern (From The Mid 20th Century) – An elaborate vintage Moroccan rug showcases a charming variety of geometric patterns and symbols. This beautiful Boujad rug features intricate latticework motifs rendered in gradient ombre hues create a central medallion flanked by symbolic glyphs, colorful checkers, inset lozenges and triangular motifs rendered in a soft hue of celadon. Towering chains of inset lozenges define the outermost part of field’s design, creating implied borders that enclose the sprawling composition. The soft pastel motifs, fiery red embellishments and celadon green glyphs are beautifully offset by the sumptuous chestnut brown field of this sophisticated vintage Moroccan Boujad rug. 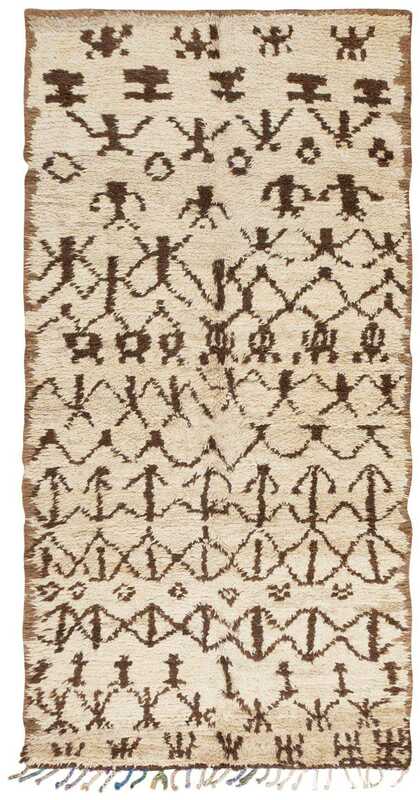 This diverse mid century modern vintage rug incorporates an elaborate variety of ancient symbols rendered in a splendid array of soft colors that offset the monochromatic chestnut brown field. 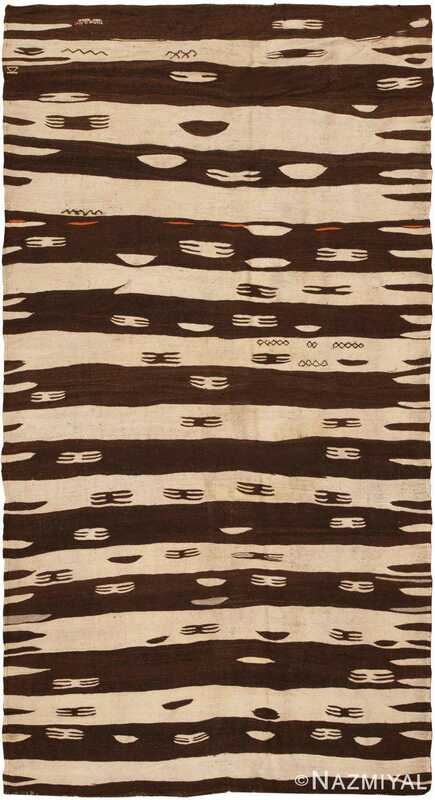 Boldly decorated, this charming vintage rug from Morocco features a series of strong walnut brown humanoid motifs set over a sumptuously textural ivory field.